From the beginning, hip-hop has always had its dynamic producer/emcee duos, artists whose names have become inseparable over the years. Pete Rock and CL Smooth. Eric B. and Rakim. 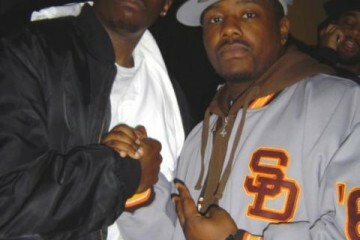 Kweli and Hi-Tek. Perhaps one of the most interesting – and unlikely – pairings of the past decade has been that of Nicolay and Phonte as The Foreign Exchange. Born Matthijs Rook, Nicolay grew up playing in bands in the Netherlands and wasn’t introduced to hip-hop until later in his life. Phonte, meanwhile, grew up in North Carolina and went on to found one of the most beloved hip-hop groups of the early 2000s, Little Brother. Through sheer fate, the two connected on the Okayplayer message boards and began collaborating on what was initially no more than a side project, 2004’s Connected. Then, something amazing happened. 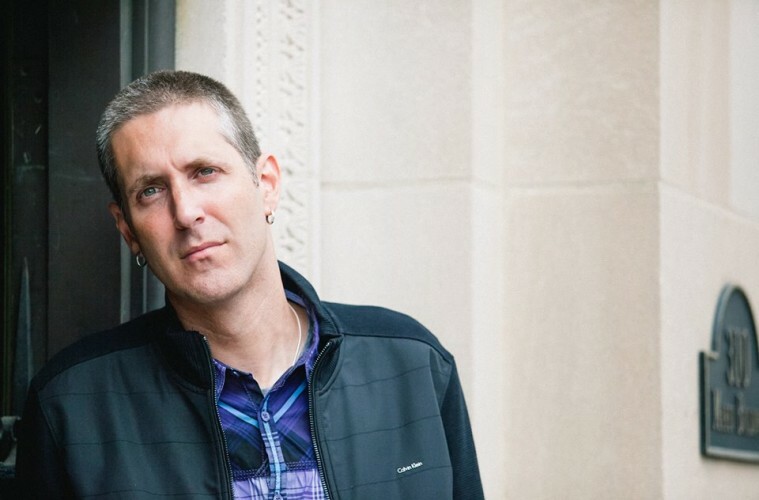 The album found a following, enough for Nicolay to take a leap of faith and move from the Netherlands to Wilmington, North Carolina to pursue music full time. Now, nearly ten years, four albums, and a Grammy nomination deep, it’s clear Nicolay’s leap of faith paid off. 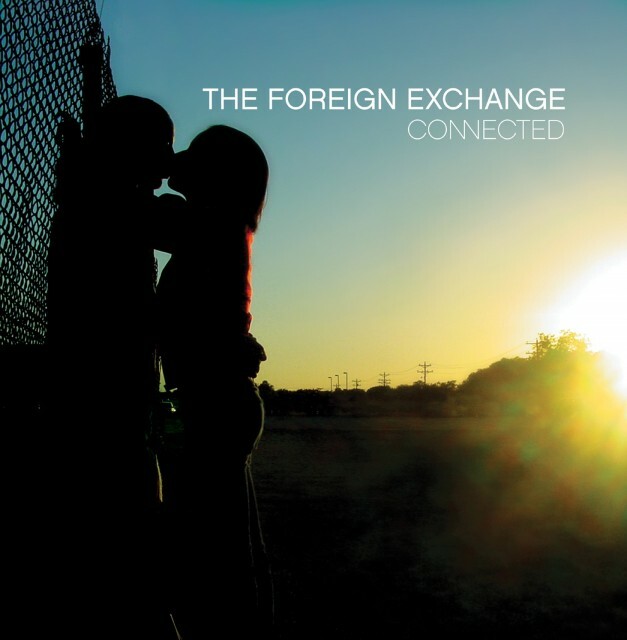 Through constantly changing their sound and releasing their music independently, The Foreign Exchange have managed to build an impressive fan base and critical success. Their latest work, the funk and soul-infused Love in Flying Colors, has continued in that vein, and is garnering some great reviews. We caught up with Nicolay to talk about his latest album, going the independent route, his early hip-hop influences, and much more. Read the full interview below. TCUS: Let’s start with your background. What can you tell me about Utrecht? Nicolay: Something that always astounds a lot of American tourists is that it’s thousands of years old. It’s actually built on an outpost of the Roman Empire, so it’s a very historic city. It’s not a big city like Amsterdam; it’s kind of like a little brother – no pun intended – so a lot of people miss out on it when they go travelling to Holland. For obvious reasons, Amsterdam is usually on the agenda, but people should really check out my hometown too. There’s a lot of awesome history and a lot of culture. TCUS: What kind of music was in the household when you were growing up? Nicolay: When I was growing up, it was really all over the place. I have a very eclectic music taste, and I think that’s from the music that was played in the household [when I was growing up]. It was never really my dad [who introduced me to music]; he loved music, but not in a way that he would own anything or even know too much about anything. [On the other hand,] my mom was more of a sophisticated music listener. She would play a lot of Stevie Wonder, a lot of Neil Young, The Band, Nina Simone, a lot of classical music… it [was] really a wild variety of stuff, and I guess [that introduced me] to a lot of different things. 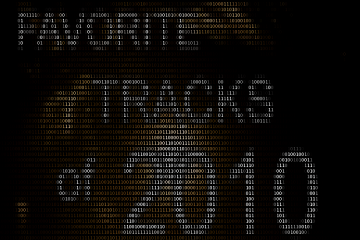 I suppose you can [trace] that back to my music at this point. By the time they start to figure out my style, I have already switched my style up. Every single time. TCUS: When did hip-hop enter the equation? Nicolay: It’s funny. I get asked that question every now and then, and the answer isn’t necessarily a great answer, but I think that like most white people around the world, I got introduced by way of the Beastie Boys. It was them and the first De La Soul album, 3 Feet High and Rising – those were the ones that opened the door for me. From the late eighties on, I really started appreciating hip-hop as my primary music of choice at the time. I think it more or less reached its zenith in the early nineties where, even in Europe, MTV would air Yo! MTV Raps. I think it was particularly around that time where hip-hop became my music, whereas the music that I listened to before was either my mom’s or my friends’ music. Hip-hop and Prince. Prince, on the other side of things, was another dude that I considered [my own music]. My mom doesn’t like Prince; she always looked at him with a side eye. She wouldn’t necessarily deny his genius, but she didn’t like all that crazy s—t. TCUS: Speaking of Prince, you’ve mentioned his music as what made you want to become a musician. Why is that? Nicolay: I saw the effect that he had on women, man. You know what I mean? There was this sort of weird thing about him, where obviously he was very in touch with his feminine side, and as a teenager growing up, I was fascinated by that – slightly scared, too. At that age, it’s like “what the f—k is this? !” But just seeing the effect that he had on women, and how women were really into [his music, made me want to do it.] I mean, my first actual band was a Prince cover band. Well, it wasn’t a cover band, but we played Prince stuff. Just hearing his albums literally made me pick up an instrument. TCUS: What was it that got you into production? Nicolay: I’ve always been coming up with musical ideas and songs, and production came into the picture just as a way to make demos for people to listen to and to figure out what to play. It started with me just messing around on a four-track tape recorder, where I would record some drums, and then do some keyboards, and then a little after that, I got a computer and started figuring out that you can do a lot of that stuff with a computer. That’s really how [production] came into the picture. 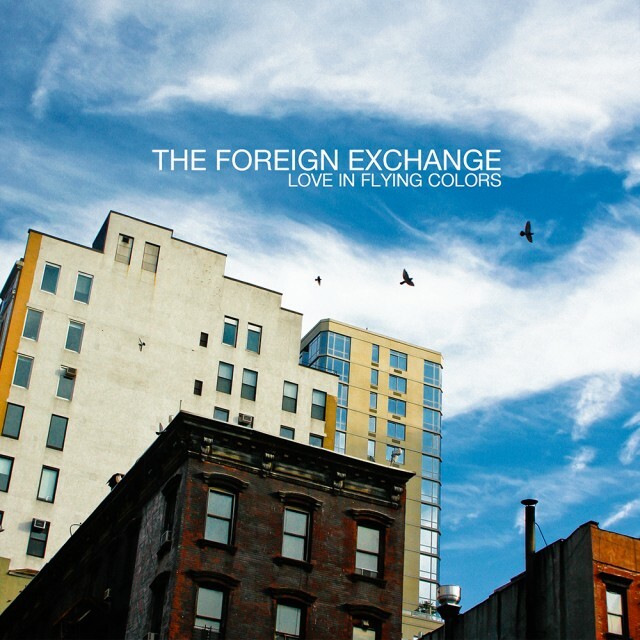 TCUS: Fast forward to 2004, and you release Connected with Phonte as The Foreign Exchange. I read an interview where you referred to this album as a watershed moment, saying, “there’s before Connected and there’s after Connected.” What was your life like before that album came out? Nicolay: It really was a life-changing moment, and I was hoping it would be, but at the same time, never expecting it to be. I was working, essentially. I was working at an internet help desk, and I wasn’t really enjoying the 9-to-5 experience at all, but at the same time, I had more or less made my peace with the fact that music is a [nearly] impossible way to make a living. I played in bands a lot of the time and it wasn’t easy to make a buck, especially in Holland. I had more or less resigned myself to the fact that music would be a hobby for me. I was working and using every spare minute of free time to make music. When I was recording Connected with Phonte, it was an interesting situation. The way that we connected over the internet [was one thing], but it was actually the time difference that made it really interesting. I’d be at my job a lot of the times, and he’d still be working, and so it was really difficult. At the same time, I was very fortunate, because the people at my job kinda looked the other way [when it came to music]. They knew that I was really pursuing music, and that I was here and there, even sometimes during company time – not making music, but making connections and whatever. To their credit, they always looked the other way as long as it was possible. I think honestly, if Connected hadn’t really popped and I had stayed there longer, ultimately, they would have had to let me go at some point. I was never really giving it my all [at the job], but they were all into what I was doing, so in a strange way, they kinda supported that by not giving me s—t about it. To this day, I think that was really dope. I think a lot of bosses and managers wouldn’t have put up with that. But my life was pretty ordinary until that moment. TCUS: So that moment happens, and eventually, you eventually make the move from Netherlands to North Carolina. What was that like? Was there any culture shock? Nicolay: On a certain level, I suppose there was a little bit of that, but looking back, it wasn’t really that big of a deal to me. When I sniffed at opportunity and music became a real thing, in terms of “okay, this might be a career,” [it didn’t faze me to move across the ocean]. I was relatively late with it, too. This was at the end of my twenties when it all came into play – actually, Connected came out right after my 30th birthday. So for me, all of a sudden I saw that there was a window, and if I played my cards right, I [felt] I could definitely make a career out of it – or at least [do it] for a couple of years. I saw my opportunity and I just jumped, you know? I quit my job and jumped into the deep end, without really, fully being financially comfortable, at all. Connected was a big success critically, and it sold very well for underground hip-hop standards, but it definitely didn’t make us rich by any standards. It was always gonna be a situation where I knew that I would have to really stay working, day in and day out, [to make it happen]. Looking back, it’s kinda crazy [to think about], but I really did. TCUS: Talking about that leap of faith and jumping into the deep end, it’s been almost ten years since Connected now. Did you ever imagine that you’d be four albums deep with Phonte by now? Nicolay: No, no. The short answer is no. I know that [Phonte] didn’t necessarily think so either. I think that for us, at the time, The Foreign Exchange was a side project – albeit a project that was very dear to both of us. At first, that was pretty much what was going to be the setup. Initially, the record was going to be the record, and I don’t think either one of us looked beyond that. Phonte was very much focused on Little Brother at the time, and they were reaching their peak around that same time, with signing with Atlantic and all that stuff, so that was definitely his first priority. I was really trying to find my own lane after Connected, and [figure out] what I could do outside the context of the group. After making a name with the group, it was important to me to also make my mark with my own voice, and so I focused on some of that. At this point, four albums in, it’s really crazy that not only have we stayed making albums, but [now], The Foreign Exchange is [sort of] the main thing in both of our lives that everything revolves around, whereas in the beginning, it was the quote-unquote side project. TCUS: Let’s talk about the new album, Love in Flying Colors, which has received a lot of really great reviews. You’ve called the Foreign Exchange records snapshots of moments in time. If that’s the case, what’s the concept behind Love in Flying Colors? Nicolay: It has a lot to do with the previous record, specifically. Where Authenticity was definitely a very dark album, both musically and lyrically – it was pretty much signalling Phonte’s divorce, so a lot of that energy found its way into that – this time around, [we wanted] to put something down that we could enjoy and was a lot more optimistic and uptempo – something that would signal the light at the end of the tunnel. You just came out of a bad situation and there’s this moment where you start to feel the uptick again. There’s that turning moment where you’ve been through some s—t, but you’re back on it. It’s optimism, but it’s optimism with realism. 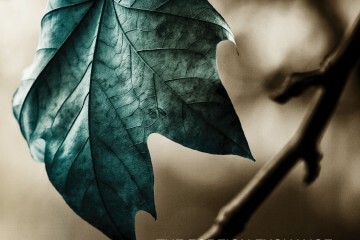 It’s not like kids falling in love; this is people falling in love that have been through falling out of love. TCUS: One thing I’ve always found interesting is the relationship between the producer and singer/emcee when it comes to writing the song and choosing the theme of the song. A lot of times, I think people get the impression that while the producer obviously lays the groundwork, the songwriter then chooses the direction the song will go. You’ve said before that as a producer, you can almost guide the subject matter by what you do on the beat. How do you manage that? Nicolay: That’s the part of the chemistry that is hard to define between the two of us. Obviously, I’m not adding words to the mix, so it’s very much a situation where I’ll lay down a mood. I’ll lay down something that, for me, is a certain mood, and I try to even refer to that mood with the title that I give a [song] idea. 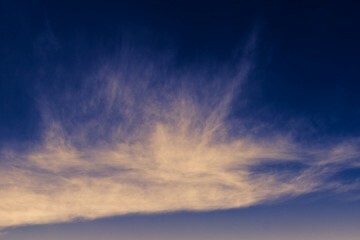 I might record a track and some words will come into my mind which reflect how the song makes me feel. It can be some really random stuff, but I’m giving Phonte two things: the track and the title. Sometimes the title is meaningful; sometimes it’s total BS. It’s interesting to see, because over time there have been examples where Phonte actually took the title [I gave him] and kept it, and the song that he wrote actually has that title. For instance, on Love in Flying Colours, “If I Knew Then” was the title that I gave the track. I don’t know why it came to me, but that’s just what it made me feel like. So it’s always interesting to me; there’s always a couple of tracks on every project where he keeps the title and writes something around that. So I guess in a sort of subconscious way, I have some tools at my disposal to guide the subject matter, but overall, it’s really Phonte’s take on everything, and how he hears the track, that will ultimately guide what he writes to it. There’s times where I’m pleasantly surprised at what he came up with, because maybe I heard it a totally different way, but nine out of ten times, what he comes up with is some sort of what I was hoping to hear. TCUS: Speaking of the chemistry between you and Phonte, I read another interesting interview with you where you mentioned that you felt like creating music when you’re not in the same room as an artist can actually come out with a better result. Why do you feel that is? Nicolay: Inhibitions. I’ve noticed this [many times]. I’ve done a lot of stuff with bands and artists; I’ve been in studio settings where there’s the nice control room with the big couch and the entourage hanging out, and it does nothing for me. I’ve noticed people even sort of freeze up and not be fully able to truly tap into their deepest expression. Only the greatest artists can do that on the spot and tap into that raw creative power. I’ve noticed, for me and for [Phonte], it’s pretty much the same thing. When I really want to go there, I cannot stand anybody around me. I really wouldn’t want to censor myself, based on the fact that there’s somebody over my shoulder that might have a certain opinion about what I’m doing. So over time, what really started as the only way that [Phonte and I] could do it – which was having us in two separate rooms – became this thing where I felt like, “wow! I’m actually able to express myself a hundred percent.” When I’m done, I’ll send it to [Phonte], and it’s like I’m [leaving it] to God’s hands. Whatever [Phonte] thinks of it, it is what it is, but I literally put it all out there, and I’ve really grown to enjoy that process. TCUS: So the end result is more personal for both of you, then. Nicolay: I really think so, man. Like I said, you don’t have those inhibitions that you would have when somebody’s looking at you. It’s the same thing as dancing; it takes a certain kind of letting go to really get to that point, and that’s hard when there’s certain people around you – especially people whose opinions matter to you, in whatever kind of way. I don’t like to compromise on that. When I send a track to Phonte, I always send him something that I feel like at least I was able to make the idea come across. TCUS: I want to get away from the album for just a moment and talk about your career as a whole, and opting to go the independent route with Phonte. 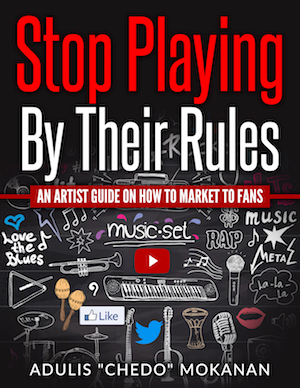 What are the biggest lessons you’ve learned from being an independent artist? Nicolay: I think the biggest thing that I’ve learned is that true independence takes sacrifice. It’s not this whole romantic situation, like, “I’m doing this all myself; I’m independent.” [You have to decide] if you’re ready to put actual blood, sweat and tears down. It comes with a lot of hard work and sacrifice. There’s doors that stay closed for you, just based on the fact that there isn’t a label behind you, and you need to be realistic about that. You need to be realistic about what you think you can achieve, because being independent means that you’re going to have to deal with frustrations every now and then, all those unanswered emails and calls. As long as you’re ready for all of that, if you believe enough in it, ultimately, I think there’s nobody that could sell my music the way that I can, because I know what I can do with it. I don’t have to explain that to a label. Ultimately, to me, it holds nothing but advantages, but it’s definitely a very difficult road to take. TCUS: What are your thoughts on the major label structure today? Is it still a relevant route or do you see releasing music independently as the way of the future? Nicolay: It depends. I think there’s still only one way to become a top star. If you want to become the next Kanye West, you’re still going to need that full-on push that a major label [provides]. You will not get there without a major label. There are notorious exceptions, obviously, but it still takes money and connections. I think, more and more, you see that [for] people that make music that you can call alternative – whatever that alternative is – [going independent] works out for a lot of people. Over the past few years, we’ve seen that people who are independent – people like us – can still make the Billboard charts. It doesn’t mean that you’re this guy selling CDs out of the back of your trunk; it can be a considerable operation. But again, there is a glass ceiling that you will not break through. TCUS: Getting back to the album, what kind of tour do you have planned? Nicolay: Well, we’re actually not very sure yet. We have three shows [the week of October 21-25], and those shows are going to be the tryouts of the tour where we’re going to learn a lot of the songs and test them out in front of an audience. You really don’t know how it’s going to go until you perform in front of a live audience and you find out what works and what doesn’t. We’ve had some personnel changes in the band; we just completed some early rehearsals with the band, and I’m really excited about that. After those shows, we’ll know what the tour is going to be like, but we’re hoping to go everywhere that we can. TCUS: How about you personally? What else are you working on right now? Nicolay: At this point, we’re trying to map out the next year in terms of our releases. For a while now, I’ve been wanting to release the followup to my City Lights album; the last one I did was in ’09. That’s something I really want to do next year, so more than likely I’ll do that. I’ve been working on that off and on over the last two years or so, so that’s something that I’m looking forward to doing in the immediate future. TCUS: That’s all from me, any last words? Nicolay: [Going back to] what we were talking about with being independent, I would really like for The Foreign Exchange to be not only a group that gets credit musically, but can also show other artists that [doing it independently] can be done. Stuff like the Grammy nomination, that was all just based off of the appreciation of the music; it didn’t have anything to do with us playing the game or anything like that. If there’s something [in our approach] that inspires somebody else to try it their way and be different, then that’s all we really want. "In this journey, you're the journal, I'm the journalist." Your favourite rapper's favourite... blogger? Thanks Andrew! Love what you guys are doing at Potholes. Get the latest events and interviews straight to your inbox.